Protestors with a great collection of signs stationed along the Rose Bowl parade route in Pasadena, CA 1.01.08. 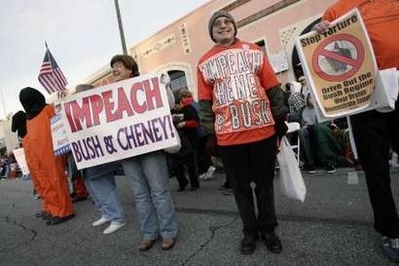 This was organized by a terrific group of LA impeachment activists with support from Cindy Sheehan. Reuters photo by Mark Avery.